Yesterday I ate a sharp, fresh Rhubarb crumble made from Rhubarb picked on my own patch and it was brilliant. Special Tips for growing rhubarb . 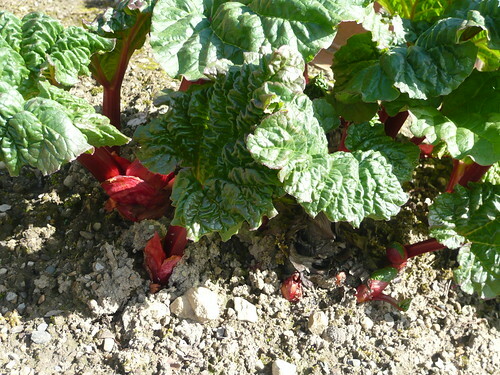 Grow it in the West Riding of Yorkshire the heart of the Rhubarb triangle. Do not pick all the stems from one crown, let some grow on and put energy back in for next year. Do not pick late in the season for the same reason. Water copiously in dry summers a couple of days before you pick the crop. Water even when it is raining. 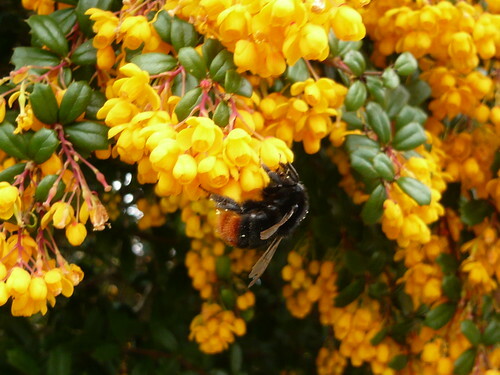 Break off flowering stems as soon as you see them. Pick and go so you eat fresh Rhubarb. I do very little to my rhubarb crowns and leave them to their own devices in a corner of the veg patch. Similar to spinach with a slightly bitter flavour Swiss Chard is pungent and slightly salty. It contains an exceptionally impressive list of health promoting nutrients. Although Swiss Chard is available throughout the year, its season runs from June through August when it is at its best. Swiss Chard is a tall leafy green vegetable with a thick, crunchy stalk that comes in white, red or yellow with wide fan-like green leaves. 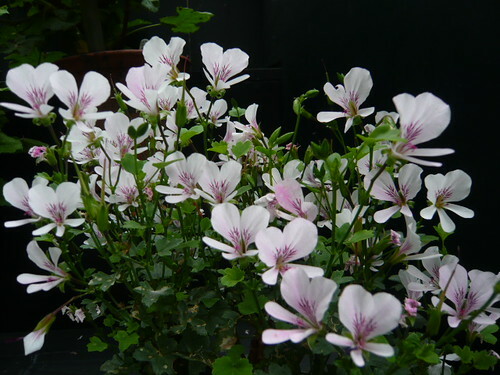 It is ornamental enough to grow in the border. 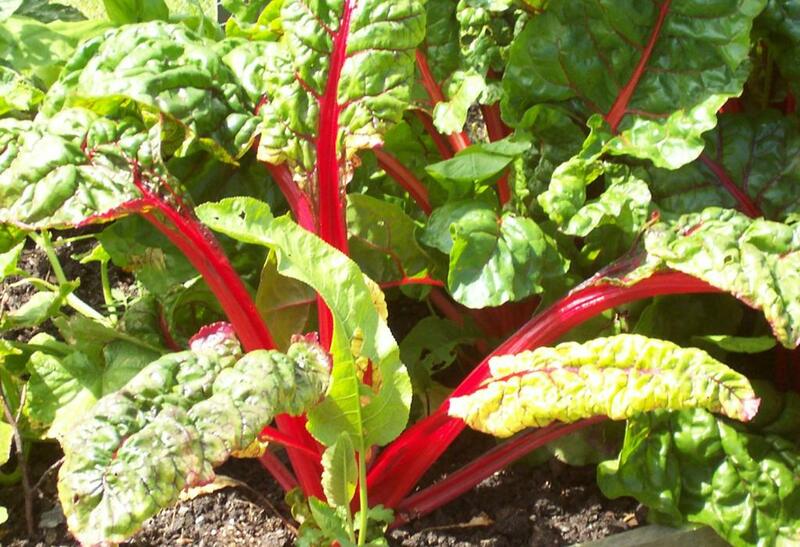 Chard is easy to grow from seed and grows upto 18 inches tall and spread. Eat and cook Chards like spinach. 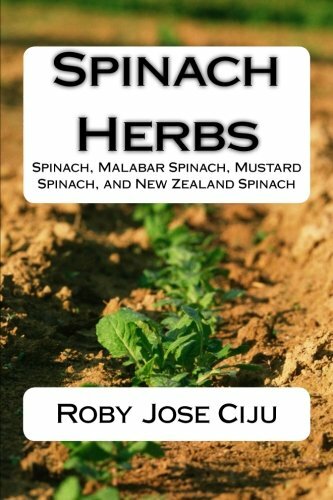 Both the leaves and stalk of chard are edible, although the stems vary in texture with the white ones being the most tender. ‘Ruby Red’ has stunning deep veins and can be picked young. 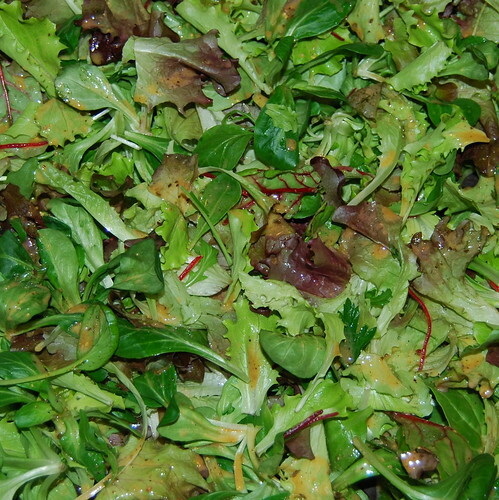 Mesclun is a mixed salad of young green leaves. The idea is to create a salad with a good balance of strong and mild flavoured greens. Often Mesclun contains a mixture of leaves from lettuce, endive, chicory, frisee, spinach, sorrel, swiss chard, mustard, arugula, radicchio and or chervil. 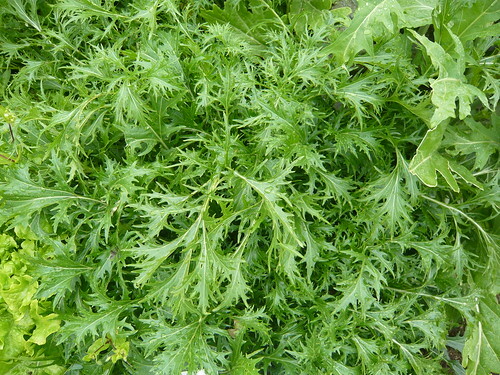 Mesclun is best when harvested as tender young leaves. For extra flavor some people add herbs like thyme and oregano to the mix. I think 4 different leaves are enough to make a good Mesclun with no one flavour or texture dominating the others. Grow from seed and cut the leaves as you need them. Many will work as cut and come again micro salad leaves. Salad leaves are mostly water and so you need a soil that is open but water retentive. I have found miracle grow compost has worked well this year. Water regularly but remember soggy leaves will not be appetising. I grow in containers and grow bags to leave open ground for more robust crops. Seeds are ready to crop from 30-40 days as sweet young leaves. Sow at 2 weekly intervals for regular supplies. Germination is best in cool spring and autumn temperatures. When leaves are at least 4” tall you can start cutting. 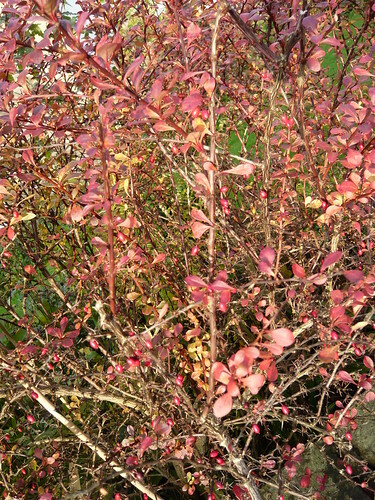 Collect mixed leaves in a basket or bowl and snip with a pair of scissors. 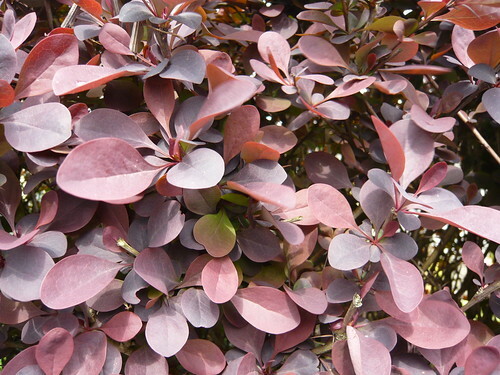 Gently hold a clump of leaves with one hand while cutting with the other. Leave 1”–2” of leafy crowns on the plants so they can regrow for another harvest. You should get 2 or 3 crops from each plant. Aim for a mix of sweet and stronger leaves. A mix with yellow and red leaves as well as green can look attractive and we eat with our eyes first. Mesclun may have originated in France but good gardeners can improve on French attempts at a salad. ‘Eat your greens’ and your reds, whites and purples in a mixed salad. Grow leaf crops from seed and use the leaves as needed. When the leaves are 2-5 inches high, which will take four to five weeks, they’re ready to eat. 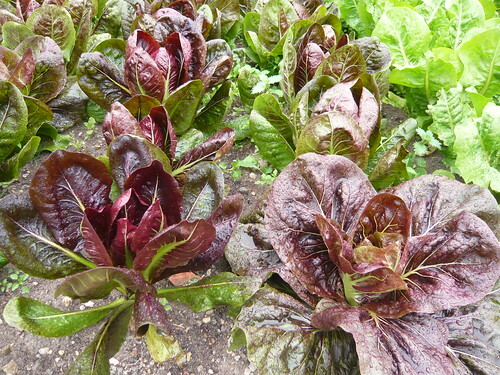 Loose-leaf lettuces need to have leaves harvested regularly. In the fridge they’ll keep for three days or so.